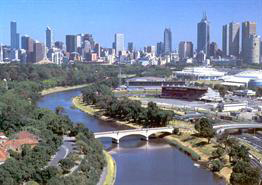 Melbourne Convention + Visitors Bureau (MCVB) is aiming to become recognised as the world's premier city for business events. It is also looking to project itself as a thought leader, an innovator and driver of significant impact to the city and the country. A business plan has been drawn up in consultation with clients, stakeholders and staff at all levels of the organisation and was officially launched by MCVB’s chief executive officer Karen Bolinger at IMEX, held last week.